Check out the latest geeky watch from Japan, the Tokyoflash Kisai Tenmetsu. 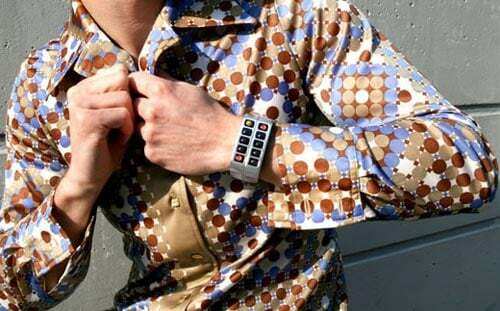 This funky looking watch is made from Aluminum, and it displays the time and date on a bunch of different coloured LEDs. The time and date are shown in sequence by color. 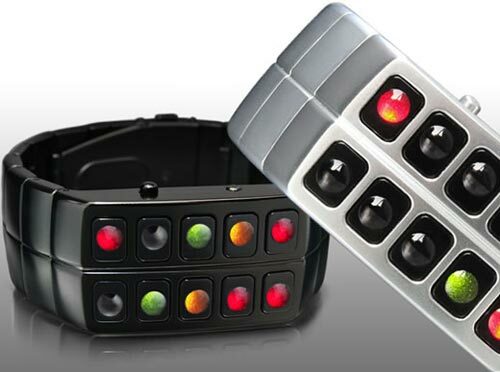 Red LEDs indicate 15 units, amber LEDs indicate 5 units and green LEDs indicate 1 unit, a combination of which present hours, minutes, months and date. The Tokyoflash Kisai Tenmetsu watch is available for $257.32 from Tokyoflash.